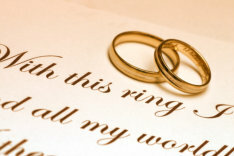 Your special day is filled with special moments, We believe that quality should never be compromised. Our Photographers & Videographers are uniquely talented. From the very beginning, our mission has been clear, we are not in the Photography / Videography business focusing on people; we are in the people business focusing on Photography / Videography. Pentafour Media offers complete photography and/or video packages designed to fit almost any budget. Particularly, during a moment or event that is defining your life. Our Alliance of professionals is unsurpassed in the region. Technical excellence is a given here at Pentafour, but it’s not something we obsess about. Our photographers are uniquely talented, well-schooled practitioners of the art and masters of the most advanced professional equipment. But that’s not how we measure our value and our success.